Every year my friends and I like to have a girlie Christmas get together over lots of bubbles and delicious food. 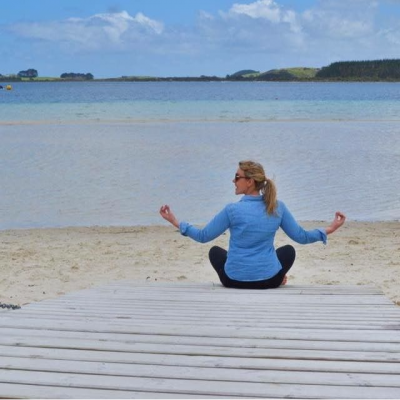 It’s a chance to catch up before the chaos of Christmas takes over and before people head away for the festive season. 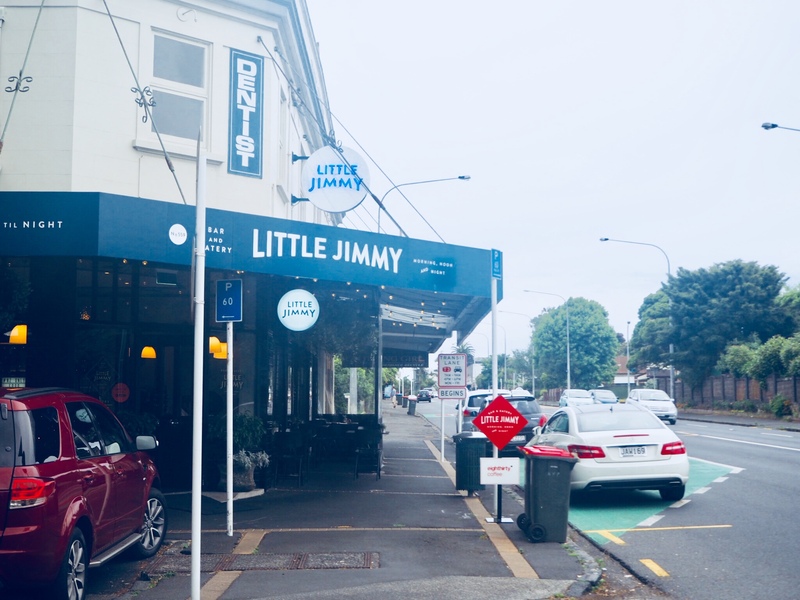 The venue of choice this year was Little Jimmy in Epsom. Fairy lights strung up at the entrance created a cosy and festive ambience and welcomed us in to the inviting space. 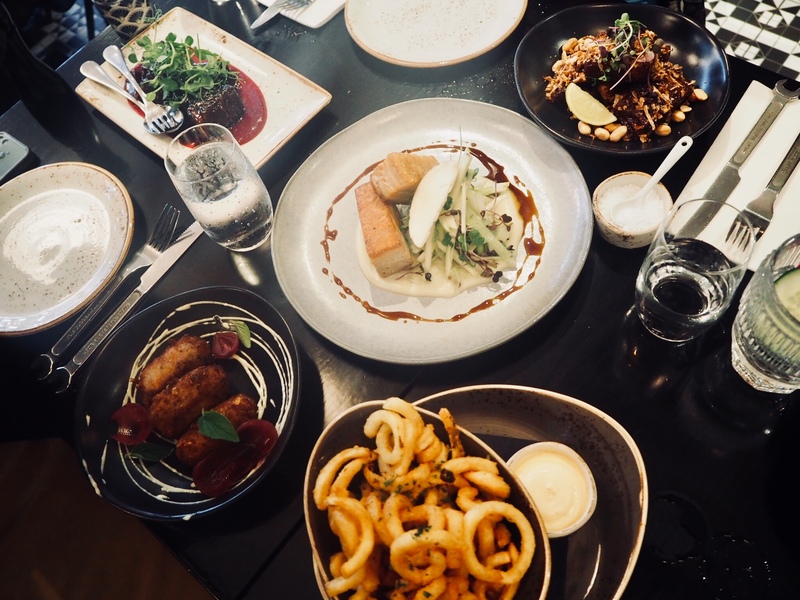 Proudly boasting a menu of 100% New Zealand produce and featuring large and small sharing plates for you to enjoy between friends. The first pleasant surprise were the knives and forks. Shaped like spanners, they added a fun element to the experience. 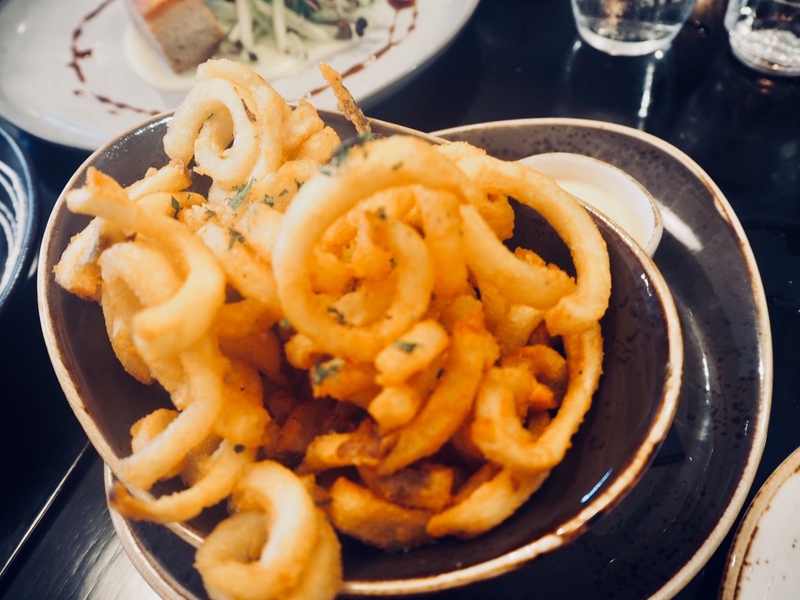 We visited on a Monday night and the place was bustling and very busy so I’d recommend calling ahead and booking a table to avoid disappointment. 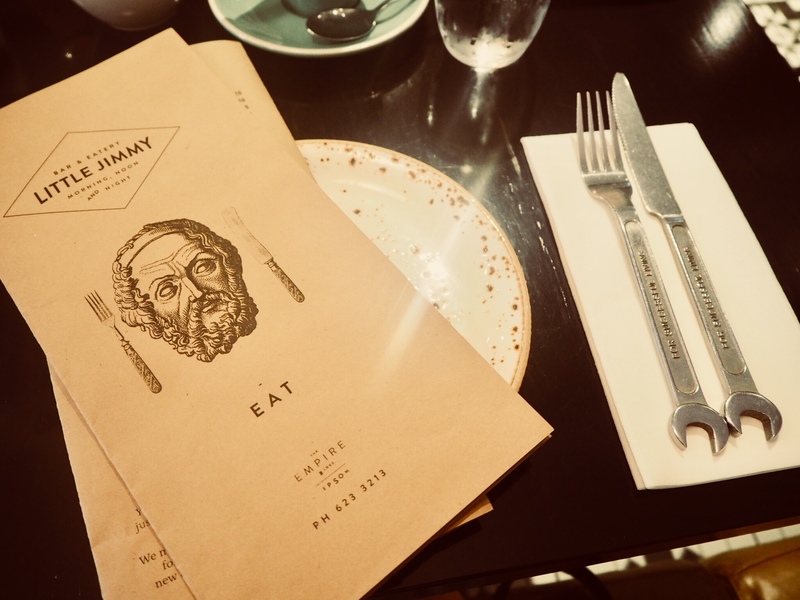 It didn’t take long before we were delving into the menu and choosing an array of goodies to share. 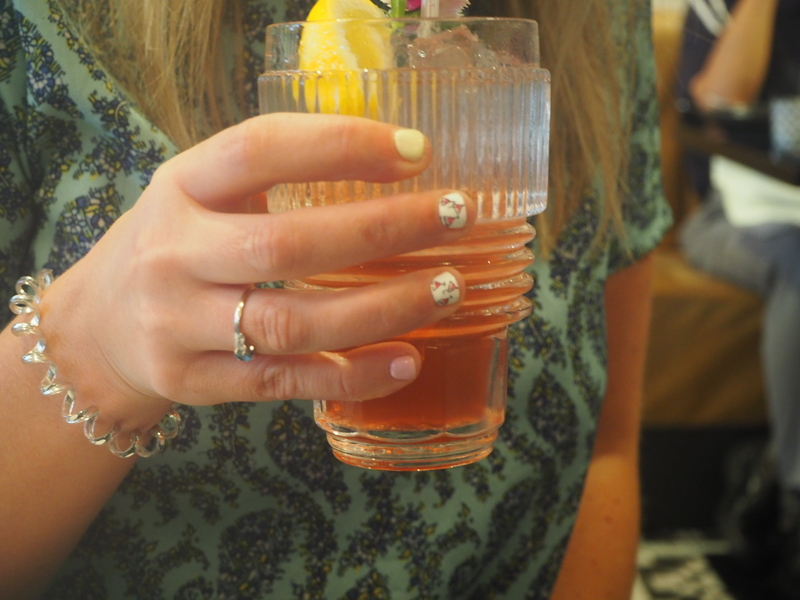 I began with a refreshing cherry and pomegranate soda from Six Barrel Soda Co. 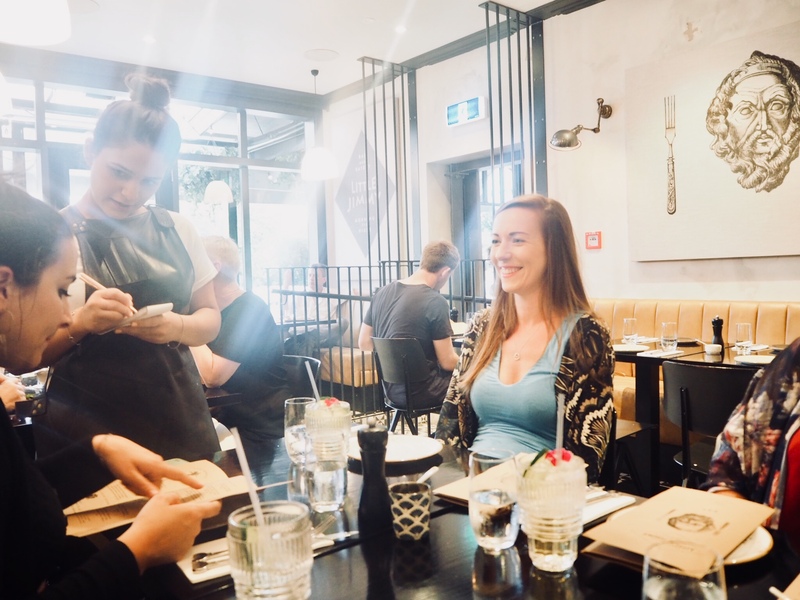 The menu is split into Smaller Plates, Larger Plates, Sourdough Pizza, Sides and Sweet Treats. 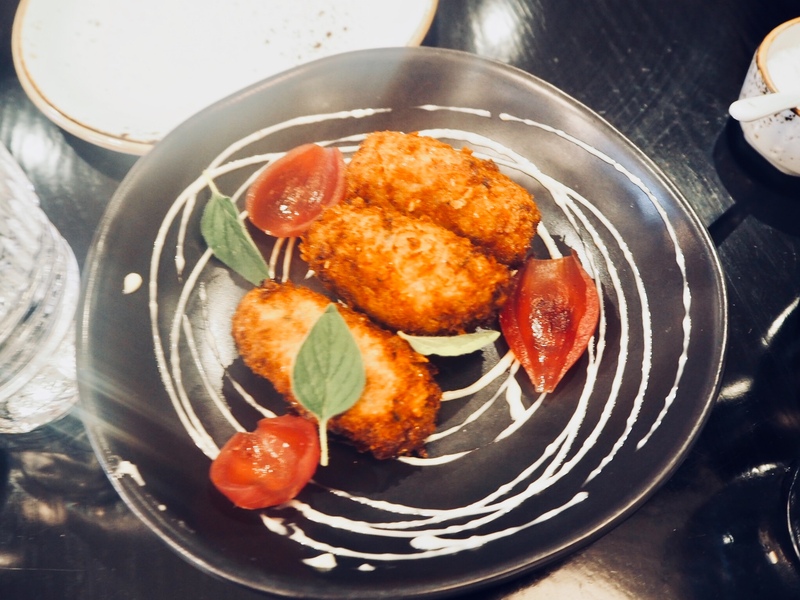 From the Smaller Plates section we began with the Pork Croquettes which came with garlic aioli, oregano and pickled onion. 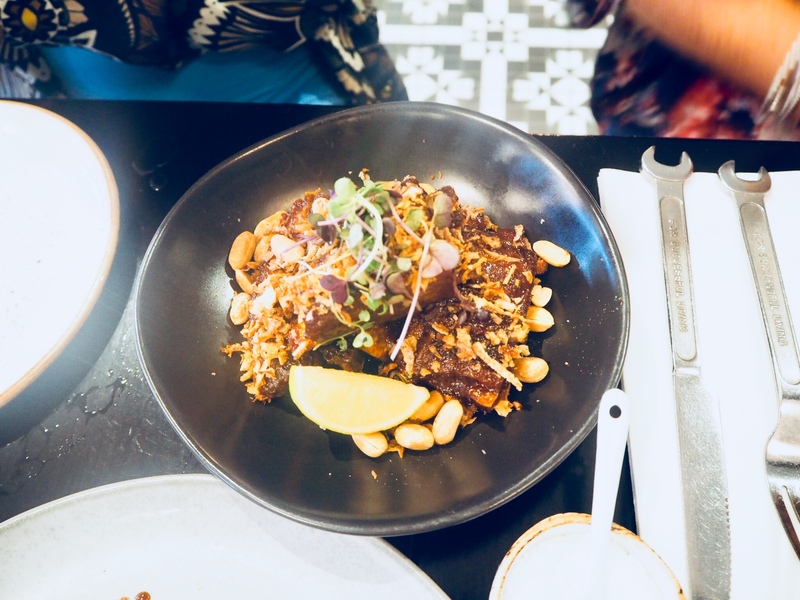 Next up we went for my favourite dish of the entire evening – the Hawkes Bay Lamb Ribs coated in the most delicious garlic, chilli caramel and lime sauce. I could have easily licked the plate clean. 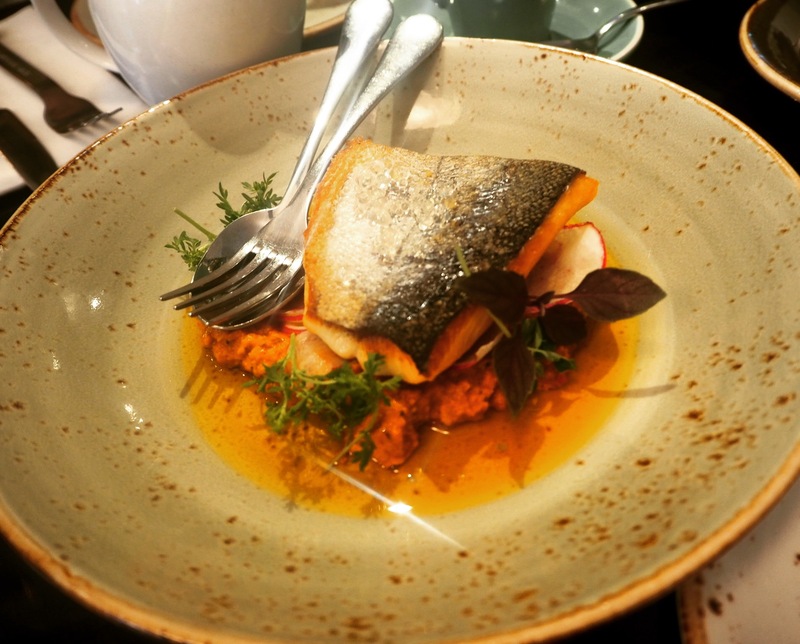 From the Larger Plates section we couldn’t resist the Pan Fried Akaroa King Salmon with almond and red pepper romesco. 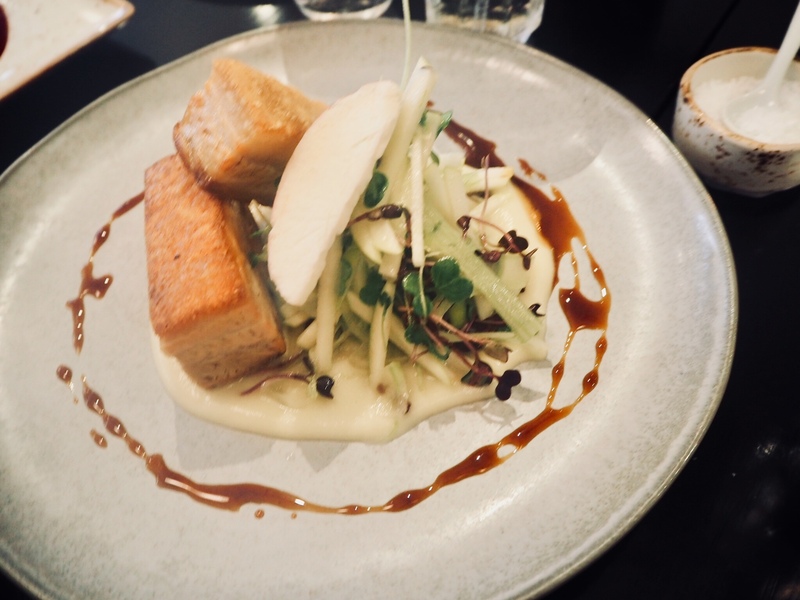 Next was the Freedom Farms Pork Belly with Granny Smith apple and celery. And we had to top it off with these didn’t we? 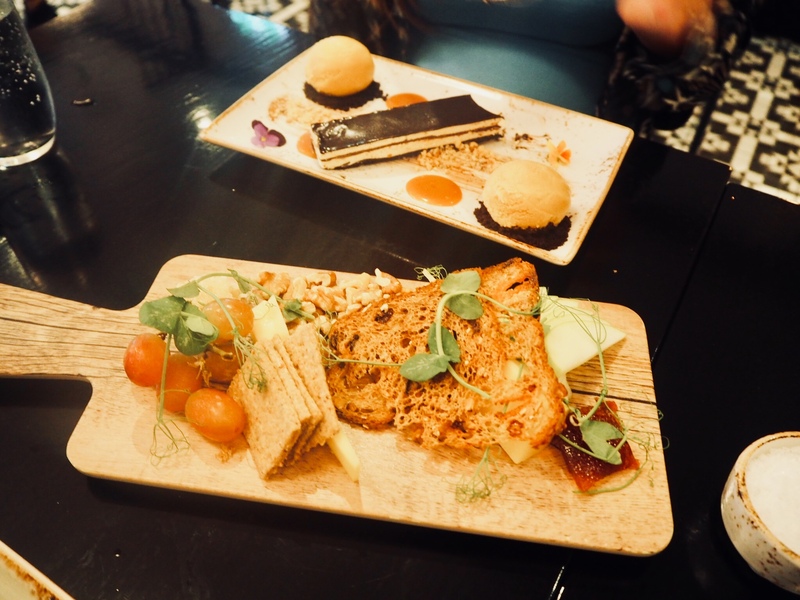 As it’s nearing Christmas we decided we had to treat ourselves to desserts. 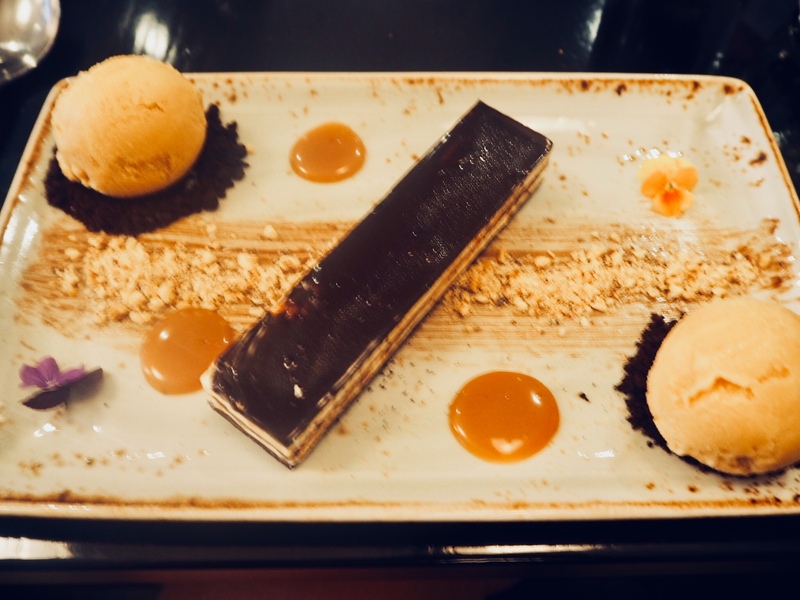 Well, two desserts to be precise – kicking off with the Whittaker’s Chocolate Torte with hazlenut and Hauraki salted caramel. One word – divine. Because we couldn’t decide between sweet and savory we also ordered the cheese board. 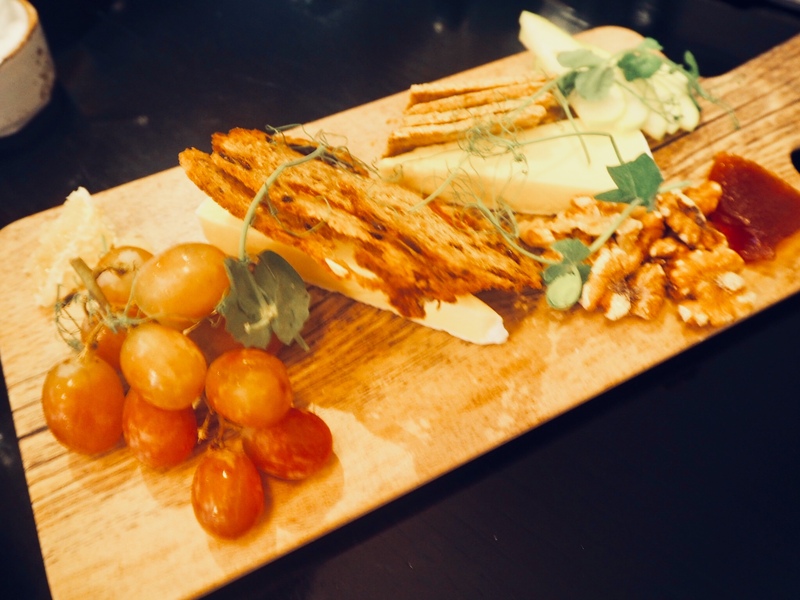 Triple cream brie and Karikaas mature gouda served with crackers, honeycomb and chutney. I really enjoyed Little Jimmy and would most definitely return. It’s somewhere I could imagine taking visiting friends and relatives as it really does showcase the best of New Zealand produce.